Entry into FoodService Dish of the Year is now open. The annual foodService Dish of the Year awards is back and competition for the title is hotter than ever. The nation-wide contest celebrates the classic dishes that grace Australia’s menus, as well as the food champions who are giving them their own twist and taking the country’s food to the next level. 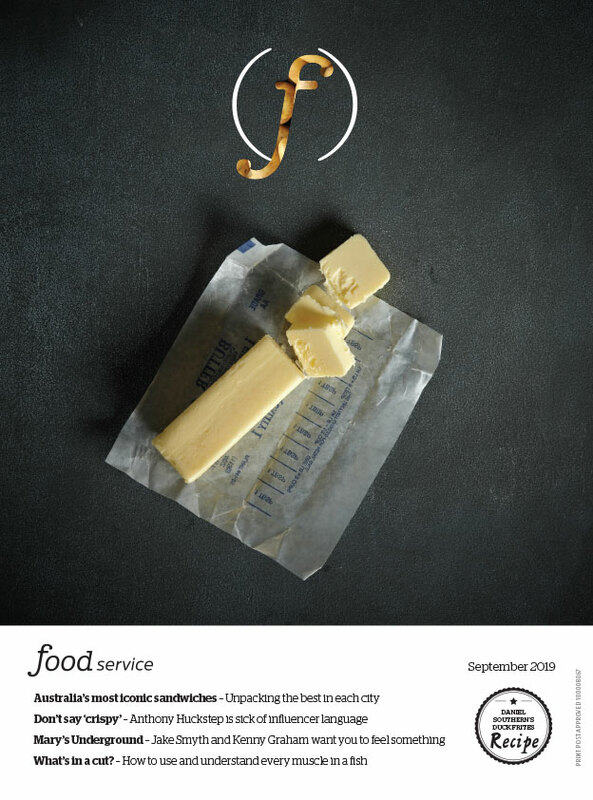 Rockwell & Sons, Anna Polyviou, Black Star Pastry and Fish Face Double Bay took out the title for foodService 2014 Dish of the Year in their respective categories. Do you have a knockout dish set to steal the crown in 2015? We’ll be searching the country far and wide to find the best in class – the quintessential burger, the killer bacon and egg roll, the cracking fish ‘n’ chips, the perfect pizza and the knockout dessert. Whether you’re a chef with a coveted chef's hat or no apron at all, you can enter. It’s all about your top dish and whether it sings out above all others. The winner in each category will be profiled in front of 13,000 of their peers in foodservice magazine and online, with the champions taking home invaluable industry recognition and exposure. It’s easy to enter and you can enter one or all five categories. You can even nominate a dish from another restaurant that you think is the best. With burgers, the options are endless, from old-school milk bar renditions to pulled pork sliders, fish burgers or even vegetarian. What makes your burger the best of the best? From egg to bacon ratio to your pick of sauce or relish and the choice of roll, it’s all in the details. Is your bacon and egg roll the country’s favourite? It’s one of the all-time classic combos, with choice of fish, type of batter and cut of chip making all the difference. Why is your fish ‘n’ chips Australia’s ultimate? Authentic, inspired, thin versus thick crust, lots of topping or spare – a lot of thought goes into each pizza. Is your pizza the perfect combination? It is the final thing a guest experiences in a restaurant, the sweet last impression. Are you dishing up the best dessert down under? Simply enter or nominate your favourite dish by choosing a category, providing a brief description of the dish and the name of the restaurant or cafe that offers it up.